duchess pump red (junior) by Scottish Dance Shoes | Wedding Shoes by Scottish Dance Shoes | Bridal Shoes by Scottish Dance Shoes from Arabesque. James Senior Scottish Country Dance Shoes are manufactured by St. Andrew's Shoemakers, Scotland, using traditional craftsmanship and the finest grade leathers. 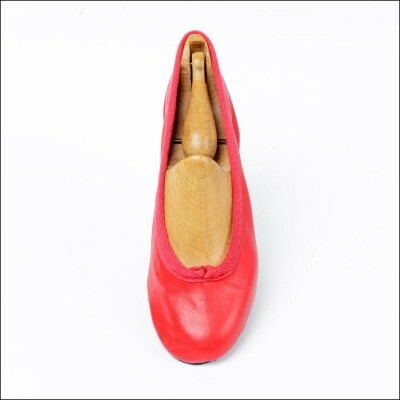 The Duchess is our most popular ladies scottish country dance pump. Made on right & left lasts for a more generous tailored fit with soft leather uppers, elasticated top line, curved heel and black flexible soft suede full soles. Shock absorbing insoles as standard and comes with a complimentary cotton shoe bag.